We all dream of owning a house, but here in California that dream can often feel like a nightmare. And as if the high cost of living wasn’t bad enough on its own, home buyers in California often have an even harder time as they try to navigate the home ownership process. That’s why today we want to highlight how you can find bad credit home loans in California. Before we discuss how to deal with the credit requirements on loans and how bad credit home loan programs offered by the state and the government can help, it’s important to understand what credit is and why it is such a concern for banks and moneylenders. Get Help Pre Qualifying for a California Bad Credit Home Loan – Click Here! Your FICO credit score is a measurement of how you use your credit and your history of payments made on things like debts and card bills. The more consistently you pay your bills, the higher your credit score will be. Lenders want to know that they’re going to make their investment back, which is why credit score is usually their first concern when they decide whether to approve or reject your mortgage application. Another important concern is your debt to income ratio, or D-I ratio, which compares the amount of debt you have outstanding from existing mortgages, car payments, student loans, etc. to your gross income. This, too, is seen as a measure of your ability to pay off your mortgage. Your credit score is easy to damage and difficult to repair. We have this helpful article if you want to seriously repair damage done to your credit, but the process takes a long time – what can you do if you need a place to live right now? We will go through all of the options for securing a bad credit home loan in California, starting with the government programs offered by the state. 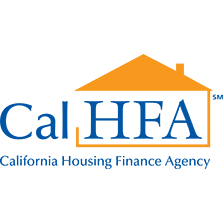 The California Housing Finance Agency, or CalHFA, works with California home buyers with bad credit to offer more reasonable loans with more lenient credit scores. 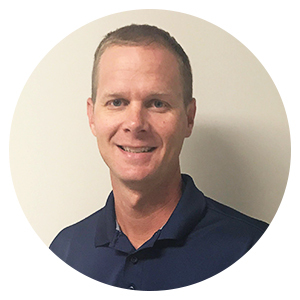 They work with the federal government to offer FHA and VA loans in California, which you can read more about below. But they also have a pair of down payment assistance programs that may be useful to you if you have bad credit. You see, bad credit home loans in California are almost always offset by a larger down payment up-front, so getting assistance with that payment can help you afford such a loan. If you can get accepted by the MyHome Assistance Program, CalHFA will pay up to 3.5 percent of the price of the home with a deferred loan that you don’t have to pay off until your mortgage has ended. The School Teacher And Employee Assistance Program offers even more favorable terms and will pay 4 percent of the home with a deferred loan, but is only offered to employees of K-12 California public schools. CalVet Home Loans, like VA loans, are only available to veterans and eligible armed service members. 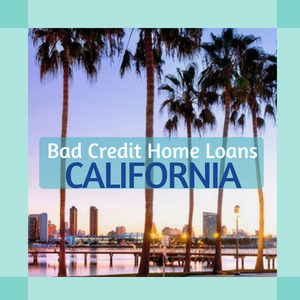 However, this is one of the best bad credit home loan programs available in California, with little to no down payment requirements, expanded eligibility (which means they accept bad credit), and interest rates well below what conventional loans are asking for. 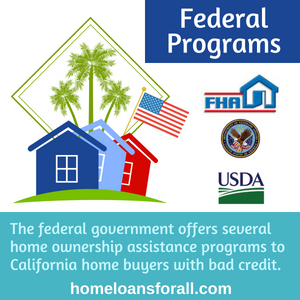 If you are ineligible for the state programs or you’re looking for something more than the down payment assistance offered by the CalHFA, the federal government offers several home ownership assistance programs that will be very useful to California home buyers with bad credit. An FHA loan is a bad credit home loan that is insured by the Federal Housing Administration – a branch of the national government. Because FHA loans offer lenders this extra level of protection, lenders feel comfortable accepting applications that they would normally reject outright. In fact, FHA loans in California have no minimum credit requirements whatsoever. And they also have down payments as low as 3.5 percent – much lower than the 20 percent asked by most conventional loans. VA loans also have no minimum credit requirements and waive the initial down payment and private mortgage insurance on a home loan. This means that they will often save you thousands of dollars on your California bad credit home loan. However, the government only offers these loans to eligible service members and veterans of the armed forces. The United States Department of Agriculture offers home loans to rural areas in California which can be underwritten and turned into bad credit home loans. If you’re living outside of the big cities, consider a USDA mortgage! So you’re not eligible for or not interested in one of the government programs that might help you find a bad credit home loan in California. What can you do instead? One good option is taking out a rent to own contract on a property. To take advantage of a rent-to-own system, all you have to do is fill out a standard rental contract, which will have a much lower or even non-existent credit score requirement. When you sign the contract, you will also have to pay a potential options fee similar to how you would pay a down payment on a mortgage. The term of the lease is also a great chance to start doing some credit repair so that you can get more favorable terms once you’re looking for an actual mortgage. 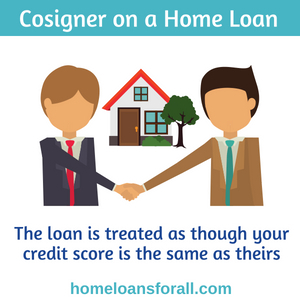 If you want a proper mortgage but just don’t have the credit to make it work, why not seek out a cosigner? When you have a trusted family member or friend co-sign a California home loan with you, the loan is treated as though your credit score is the same as theirs, which will get you much more favorable terms on the loan. However, it also means that your co-signer is responsible for making sure you make your payments, so make sure they understand the responsibility and that they can be trusted if a crisis should arise. If you have to file for bankruptcy, it will have a major impact on your credit and on your ability to finance a future home. Usually an application for a California home loan will be rejected outright if you have filed for bankruptcy any time within the last seven years. But there are still ways to find a bad credit home loan through government programs – FHA loans have only a three year waiting period and VA loans require only two. Those two to three years might seem like a lot when you’re looking for a place to live, but you should think of them as an opportunity to build your credit up so that you can get even better terms on a loan once you finally apply. 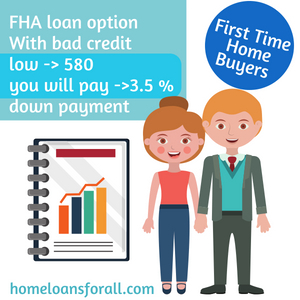 If you’re a first time home buyer in California and you have bad credit, we recommend checking out the FHA loan option. This federal program is specifically designed to help people in your exact situation. Instead of the 20 percent down payment required by a conventional loan, you will only have to pay 10 percent if you have credit lower than 580 and 3.5 percent if you have a credit score of 580 or higher. Plus, you can offset a bad credit score on an FHA loan if you have alternative forms of credit, such as proof of utility bill payments. There’s a lot of assistance available in California for future homeowners besides government-funded bad credit home loan programs. HUD-approved housing counseling agencies and the CalHFA both offer online resources, seminars, and other forms of advice to help first-time home buyers in California and anyone else through the difficult and often confusing home loan process. Consider taking advantage of all the home loan assistance available in the state of California. The Homestead Tax Credit is another way to help make a home more affordable by allowing you to pay fewer taxes if you are living in a California home that you are still paying off. The California Constitution provides for a maximum exemption of $7,000 – nothing to sneeze at! Credit repair is a long and difficult process, but it’s well worth the time and effort. If this is something you’re interested in, you should start now so that you can get better terms on a bad credit home loan in the future. The first thing you need to do is just pay your bills, outstanding mortgage payments, student loans, car payments, etc. on time every month. This action shows potential lenders that you are a reliable investment who can be trusted to make payments, and will therefore help improve your credit score. The second important piece of credit repair is paying off as many of your existing debts as you can – credit card debts, existing loans, and so on. Even things that don’t require monthly payments. 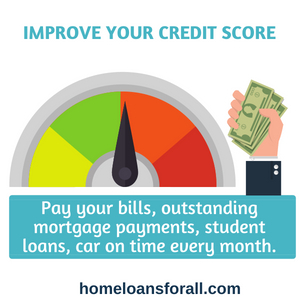 In addition to improving your credit score, this also improves your debt-to-income ratio, which you will remember is the second most important consideration when applying for a home loan. Hopefully you’ve learned a bit about bad credit home loans in California and are prepared to go out into the world and find the house of your dreams. Remember: bad credit can be frustrating, but it’s not the end of the world, even in this state.